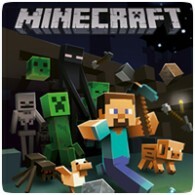 Minecraft has been the PlayStation Store’s most popular downloadble title on the PS3 for the past few months, with over 1.5 million downloads so far. Following the game’s massive success, it will now be getting a Blu-ray version in PAL regions from May 14th 2014. The developers are also working to bring the game to the PS Vita and PS4.